City Park Skopje is the largest green area in the ever growing capital city Skopje. 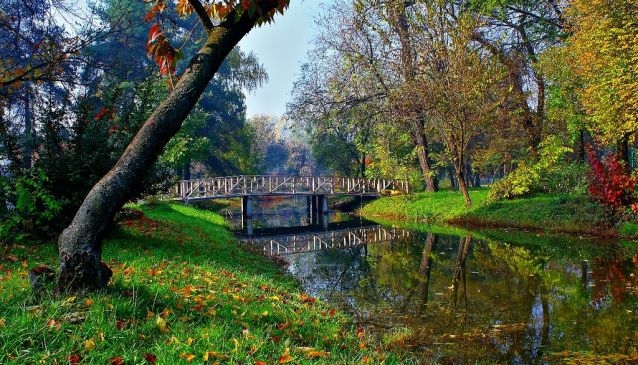 City Park Skopje is one of the best places to go to if you want a quick getaway from the fast paced life in the centre of our county's metropolis, only a 10-15 minute walk away. The City Park is perfect for picnics, walking, jogging and pretty much anything you want to do alone or with friends in beautiful green surroundings. It also has a small lake that makes it a very picturesque area. Nearby you'll find plenty of other things to do and see as well. Skopje City Zoo where you can see the various animals that call Skopje their home, the quay of the river Vardar with a great cycling and jogging path, the National Arena Phillip II - home of Macedonian national football team as well as local teams FK Rabotnicki and FK Vardar as well as Debar Maalo which is famous for the many popular café-bars and restaurants. City Park is often the destination for events so make sure you check out or events calendar to see if anything is happening right now.